WEST LAFAYETTE, Ind. — Purdue groups and members of faith-based organizations in Greater Lafayette have been selected to join President Obama’s Interfaith and Community Service Challenge to aid service members, veterans and their families. On Wednesday (Aug. 3), two members of this new Purdue Interfaith Engagement Coalition will attend the White House’s convening of such groups from across the country. Attending will be Harry Brown, coalition coordinator and director of the Boiler Volunteer Network in the Office of the Vice President for Student Affairs, and Shelley MacDermid Wadsworth, director of Purdue’s Military Family Research Institute (MFRI). The coalition leadership also includes the University Religious Leaders organization, led by the Rev. Lana Robyne, director of the Wesley Foundation. Other groups involved include the Purdue Dean of Students Office, International Students and Scholars, Black Cultural Center, Muslim Student Association, Dialogue International, and Hillel Foundation. In addition, the leaders of the initiative are recruiting involvement from the more than 50 other religious organizations on campus. Purdue’s Interfaith Engagement Coalition plans to undertake two key projects and a series of other initiatives. MFRI will coordinate the first Stand Down for Homeless Veterans in this part of Indiana on Nov 5. This event at Central Presbyterian Church in Lafayette will unite student and community volunteers from many faith-based campus and community organizations, multiple university departments, and other groups and organizations to extend essential services to homeless and near-homeless veterans and their families. The coalition also will support a statewide symposium, , on Nov. 15-17. The symposium will be conducted at Purdue in partnership with MFRI, the Roudebush VA Medical Center in Indianapolis, the U.S. Department of Labor, and the national Center for Faith-Based and Neighborhood Partnerships. “The goal is to increase awareness and understanding of the challenges facing our service members, veterans and their families as they transition home, as well as implementing effective ways to care for, treat and support veterans and families,” MacDermid Wadsworth said. The target audience includes service professionals, educators, mental health professionals, clergy and members of faith-based communities around the state, and legal professionals. National experts will address topics related to military and veterans and their families. Purdue students will be offered the opportunity to work on the coordination team and volunteer and participate at the event. 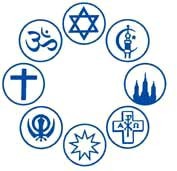 The Beauty of Creating Together: World Religions Café. In a coffeehouse setting, groups will celebrate their faith and share their talents – such as poetry, music, dance and art – followed by Midnight Pancakes hosted by Wesley Foundation students. A MFRI Student Veterans Organization grant competition will offer the opportunity for students from public and private for-profit and not-for-profit institutions to compete for funds to engage in community service projects, campus mentoring and other volunteer initiatives. Volunteers can contact MFRI at 765-496-3403. The Boiler Volunteer Network can be reached at 765-496-2450. Other national groups involved in the challenge include the White House Office of Faith-Based and Neighborhood Partnerships and the Corporation for National and Community Service.